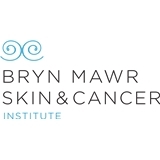 Bryn Mawr Skin & Cancer Institute (Newtown Square) - Book Appointment Online! Welcome to Bryn Mawr Skin & Cancer Institute. Bryn Mawr Skin & Cancer's mission is to detect and treat skin cancers as early as possible. We treat all aspects of medical and surgical dermatology. We have an experienced team. Our team consists of board certified Dermatologists, a board certified Plastic Surgeon, a board certified Dermatopathologist, and a dermatology-trained team of certified Physician Assistants, Registered Nurses, Licensed Practical Nurses and Medical Assistants.